One year ago, the founders of what would soon become Hope 2 Hire were burdened by the troubling statistics of Memphians within the criminal justice system. Our home has a problem with violent crimes, which has led to an ever-growing prison population. As convicted felons complete their sentences, they reenter a city with high levels of poverty and few options for work, which has resulted in an astonishingly high recidivism rate. It was evident that change was needed. HopeWorks, one of Hope 2 Hire’s partners, had been working in the prison system for a few years. 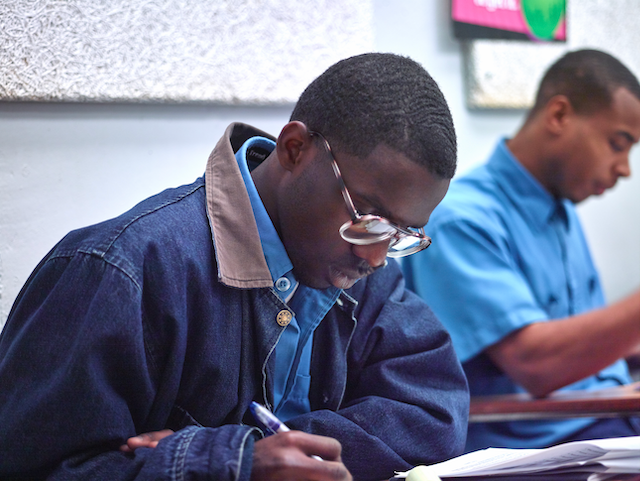 Its Personal and Career Development course provides inmates with a sense of purpose upon release. The recidivism rate showed promise, with ex-felons who participated in the program returning to prison at a much lower rate. But HopeWorks, Brad Martin, Shelby County Division of Corrections, Tennessee College of Applied Technology, and Workforce Investment Network knew that two essential elements were needed to ease a formerly incarcerated person’s transition into society – technical job training and connections to employers. Action was needed in order to give ex-felons a better pathway back into their communities; that action was called Hope 2 Hire. After just a year of the Hope 2 Hire program, we have already made strides in building a stronger community together. During our first year, we saw the first two graduating classes of Hope 2 Hire, who were able to take steps toward sustainable employment and a better quality of life. Participants specialized in construction technology and masonry, learning intricate construction lessons inside the prison walls. Students connected with construction employers and built relationships before their sentences ended. We’re one year in, and the results are incredibly promising. Hope 2 Hire’s job training and life skills development of the Memphis prison population has led to an 85 percent engagement with HopeWorks after the participant’s release. Through mentoring and education, those who worked with Hope 2 Hire now have a 73 percent post-release employment rate, and an average wage of $11.37 per hour. Among these great achievements in such a short amount of time, perhaps the best of all is the 4 percent recidivism rate of Hope 2 Hire participants. If Hope 2 Hire can do this in just a year, imagine what our future holds. Help contribute to Hope 2 Hire’s efforts in reducing recidivism in Memphis through our many volunteer and donation opportunities.